We will manage your rental property! BlueWater Realty Group will assume the responsibility of dealing with tenants, maintaining the property, and starting the legal process of evictions. For investors and property owners who would like to have their properties managed by professionals, BlueWater Realty Group provides a valuable service. We provide owners and investors with complete financial reports about the property. Our Property Managers focus on customer service and communication with both tenants and owners. This results in protection of your investment and rent being paid on time. 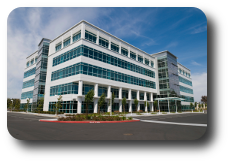 Investors and owners hire property management companies for a variety of reasons. Property management is often a full-time commitment, depending on how many tenants are on the property. Many investors and owners simply do not have the time to commit to full-time property management of their rentals. Furthermore, we focus on finding and keeping good tenants for your property. 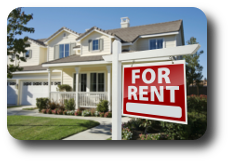 We literally receive dozens of calls and emails daily from prospective tenants for rental properties. A dependable and honest property management company can make or break a rental property. If the property is properly managed, the property will retain its value or increase in value over time. However, to increase the value of the property, day-to-day activities must include regular maintenance and upkeep. We will maintain and keep up the property for you. We will contact and manage vendors if property requires repair, collect the rent, screen potential tenants and start the evictions process if necessary - something that many owners and investors may not be familiar with. A good property management company, we can make your rented real estate investment a painless process that actually returns your investment. BlueWater Realty Group will ensure that the property is well maintained and that your tenants are of the highest caliber. BlueWater Realty Group manages long-term residential and commercial properties for our clients. If you have a property you would like to put up for lease, contact us today to get started! If you are interested in investing in or purchasing property to lease out, we also offer a full line of service real estate services.